I remember the day like it was yesterday. What day is that you ask? The very first time I missed a Family Christmas Dinner because of surfing. I'm guessing, I was 16 at the time. I had my license, but no vehicle. My friends who surfed had vehicles. My buddy Jeff, had a license and a vehicle. 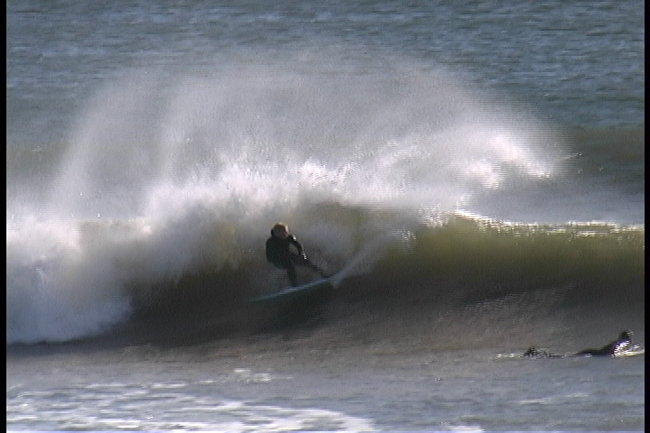 We had been surfing that Winter, and it had been pretty good, considering we were new at Winter Surfing. I don't believe we had all the right gear. In fact, I know we didn't. No hoods. Two piece wetsuits. Holes in our boots and gloves. Holes, in the crotch of the suit itself. No leashes. No wax. In other words, we were "roughing it" in those days. But, we had heaps of stoke and passion for what we were doing. Winter Surfing. Jeff and the boys used to throw rocks at my bedroom window to wake me up, and not wake my parents. 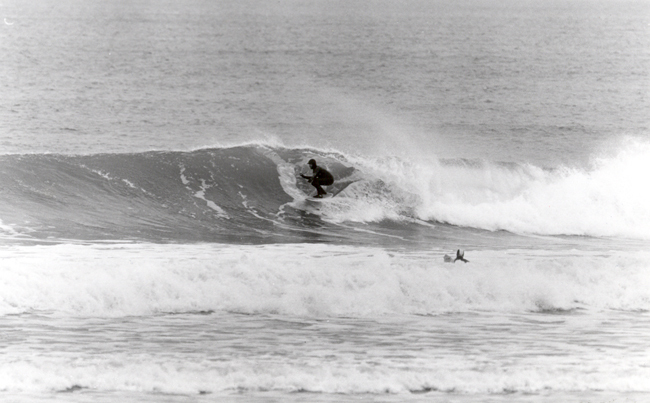 My parents were OK with my surfing in those days, but not OK with the early morning wakings. This was however, Christmas morning, and we were all awake. My mother looked at me as I was running out the door. "Dinner is at 1:00 O' Clock! So don't be late!" "Don't worry, I won't be!" I said as I ran past her in the kitchen. Then I was off and in the surf rig with my friends. Heading for the Wall, where the surf was perfect. 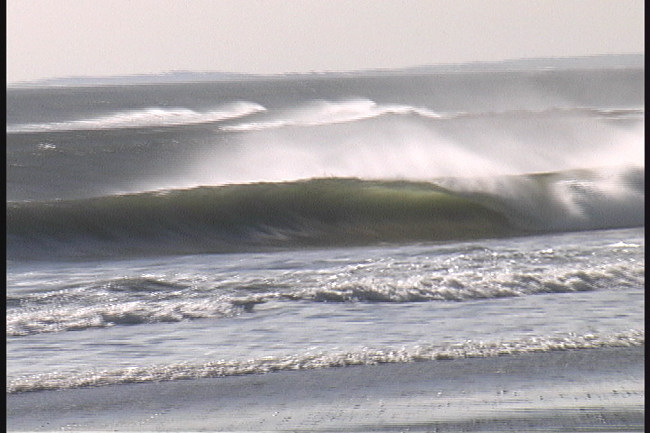 4-6' faces, groomed by a light offshore wind, the sun was shining bright over a new fallen snow. It was a perfect New England Christmas Day. We were jumping up and down like a bunch of crazed Chimpanzees. It was going to be a great day. Did I mention that none of us had a watch? I don't mean a water proof watch, no nooooo, I mean a watch that simply tells time. You know, on your wrist, in your vehicle. We looked at the sun, and made some kind of a harebrained assessment about the time. We were off. Way off. But that didn't matter at the time. We were surfing. On Christmas Day. Long story short. The surf was unreal. We were all getting waves and having the time of our lives. Then, the sun started to go down. I asked my buddies..."What time do you think it is?" "I don't know, maybe 3 or 4". "Oh no...I'm in trouble." In my house there were three big holidays. Thanksgiving, Christmas and Easter. Of the three, Christmas was the BIG one. No one had ever missed a Christmas dinner at my house. Especially not because of Surfing. Oh yea...my goose was cooked. 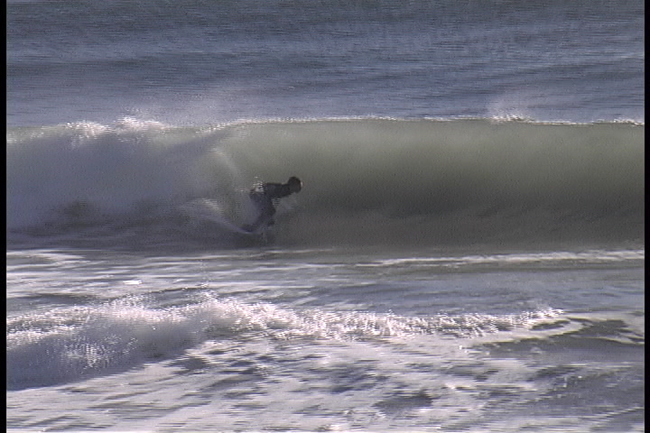 By the time we ripped off our wetsuits and headed home, I was trying to formulate an excuse. You know. We ran out of gas, we got mugged, we had a Christmas Miracle, where an Angel appeared to us and said it was OK to keep surfing. My friends dropped me off in front of my house and sped off. I slipped going up the stairs in the snow, dropping my board and wetsuit. "Great. Just the kind of entrance I was not looking for". I Thought to myself. I walked in the house and saw my empty place setting at the table. Everyone else had obviously eaten. My brothers and sisters gave me the eye. My Mother had a stern look on her face. My dad sat there, arms folded, and waited for me to speak. "Merry Christmas Dad. You should of seen the waves. 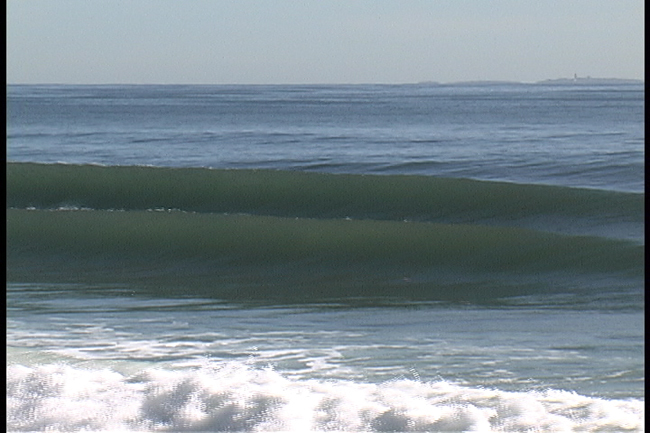 I got tubed at least twice today." He just looked at me and shook his head. "Surfing." He said in disgust. That's all he said. "Surfing." It was the one word, he would use for many years, after that day, and always in disgust, whenever I missed an important event like Christmas, because of Surfing. Later, while we were opening gifts, I bent over to pick up a gift, when saltwater came dripping out of my nose. I tried to hide it and turn away, when I looked up and saw both my parents looking at me. They both had a smile of their face. They knew. This was my life now. Surfing. That was many years ago. 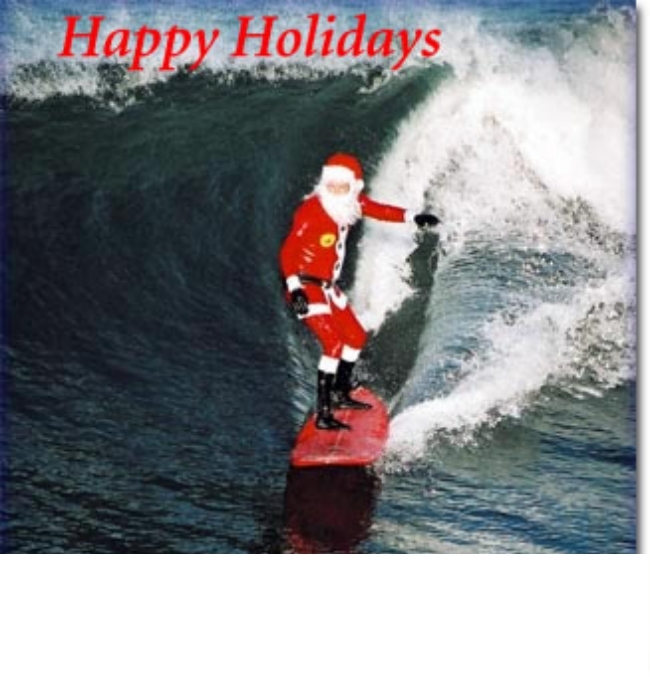 I've since gone surfing on many more Holidays, and special family events, and gatherings. And each time, I've had to sheepishly explain myself, like I was 16 all over again. Now-a-days, it's usually to my clients. But, it's those early days, that I reminisce about today an think back on. My early years. My father's been gone now for 7 years, my mother is in the hospital with brain and liver cancer. The house has been vacant and ready to be put on the market. l mention all of this to you today, because I want to tell you all a current happy story. My three children and I went to the home I grew up in yesterday, and decorated it. We bought a Christmas Tree. Lights and all kinds of Holiday decorations. We went down in the basement and found the old ornaments and put them on the tree. We put old photos on the walls. And on Christmas Day we're taking my Mother (their Nana) out of the Hospital for a one day visit home on Christmas. You know, one last Christmas dinner at home. I just hope there's No surf on Christmas Day. I want to take this moment to Wish You all the Happiest Holidays. I hope you all really enjoy this Holiday season. 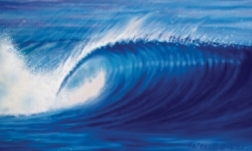 I hope you get good waves during this time off from work and school. Congrats to the New England Patriots for winning the AFC East today beating the JAGS. Thanks for buying my movie NORTH BY NORTHEAST. It does make a great Holiday gift (shameless plug). Next week I'll post the Pic of The Year from Both Yesterday and Today. So cast your votes for your fave in either category. Please keep all of those who are in need of any kind help in your thoughts and prayers again. It's the season of giving and caring. Happy Holidays! The following images are all Video Frame Grabs from the movie NBNE. 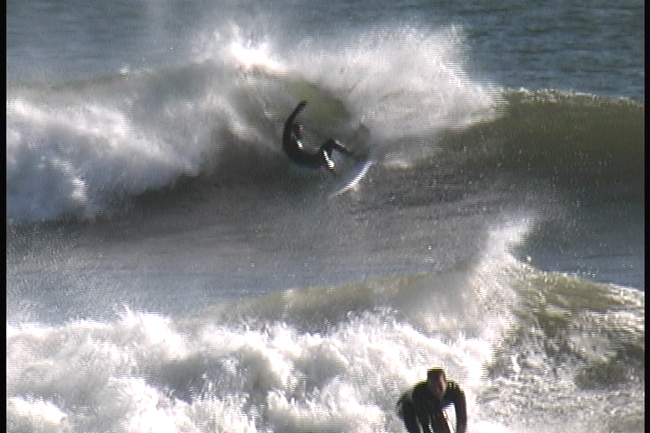 (Above) Casey Lockwood stitching a pristine lip.Video Frame grab from NBNE by SFOD R. Fatello. (Above) Sashi Lyford bringing it on home. Mr Five star riding what he shapes. (Above) Sashi slicing and dicing his way through the afternoon. Yes he made it. I know he did. Cuz video don't lie. Parting Shot (Why Not?) Surfing Santa! Merry Christmas! Happy Holidays! And To All a Good Night!